In January our clinic manager, Jenna, in The Vet Nottingham went home after to work to find blood on her dog Percy’s bed. Jenna is also a qualified veterinary nurse so after finding a wound on Percy’s rear end and examining she decided to bring him back into work to be examined by one of the vets. Percy had been out earlier in the day with his dog walker and had been playing in the woods so the cause of the wound was unknown. On arriving at the practice Jenna took Percy to the prep room to shave and wash the wound for a better look. It was quite deep and looked infected and after further exams, 3 more wounds to his back leg were found. These were extremely painful and it was impossible to fully look at them, so Jessica advised to give him some pain killers to relax him. 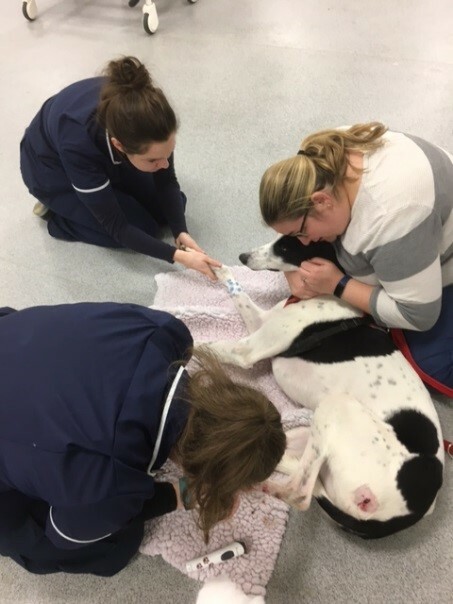 Percy was given a IV injection and after 10 minutes Percy was happily sleeping on his mum’s lap allowing Amber, one of our nurses and EMily, our Veterinary care assistant, to clip and clean the wound. Once this had been done Jessica came to examine the wounds and advised that she was worried by how infected they looked and how close they were to a joint. Jessica decided the best plan was to place an IV catheter and slowly give him some antibiotics to get them into Percy’s system as quickly as possible. An IV was placed by our nurses and then they slowly gave him the meds under Jessica’s direction for the next hour. Percy was then sent home with oral antibiotics and pain relief for a week, if there was no improvement Jessica would reassess him and consider X-rays. A week later Jessica re-examined Percy and although healing Jessica did not feel that the wounds had healed enough so she dispensed another weeks’ worth of medication. 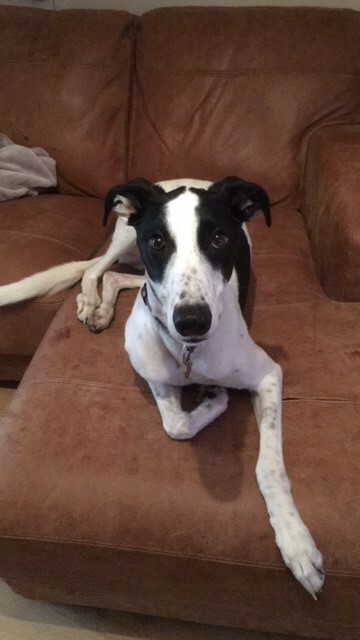 Percy is now back to his nutty self, enjoying his walks and defending his garden from squirrels.